Join me to step into the fairy tale scenery of Slovenia! We will soak in the breathtaking beauty of Lake Bled and all the adventure this stunning landscape has to offer! You will do daily yoga, go hiking, stand up paddle board on the lake, go white water rafting, eat delicious local food, rest your tired muscles in your private outdoor hot tub whilst you enjoy a glass of local wine! Slovenia seriously surprised me with it’s natural beauty everywhere I went and I cannot wait to share it with you! 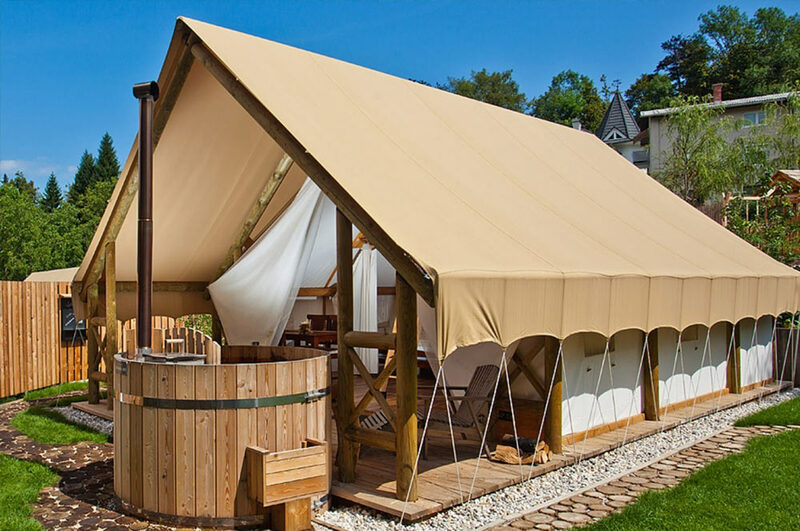 5 nights shared accommodation in a luxury glamping tent. You will have your own double bed in a huge 2 person glamping tent. The tent has a living and dining space, bathroom, 2 showers- 1 indoor and 1 outdoor, plus it’s own terrace, garden and private outdoor HOT TUB! 4 dinners (1 dinner in not included that you will have free to go explore). We will eat at delicious local restaurants that I have personally taste tested for you. One of our dinners will be a special dinner at the Bled castle with it’s amazing views! Guided half day hike in stunning surrounding mountain scenery! Lake walks, view point hikes and more! Bring your walking shoes! Daily free time to spend as you choose. You might read or chill in your private hot tub, on the natural pool deck, down by the river that runs through the resort or on a bench in the sun by the lake. Adventure to Slovenia with me! Please note, spaces very are limited. If you are interested in coming along, please contact me as soon as possible to avoid disappointment! Adventure time! Hike, Stand up paddle board, white water rafting, exploring! This will change on a daily basis. Don’t worry you will eat lunch too! A deposit is required to reserve your space. The remaining payment can be paid in full or by a payment plan via bank transfer or credit card. If you would like to come to Slovenia, please contact me as soon as possible so we can secure your space as spaces are limited. If you are interested, please email me at jenn@jmoorehealth.com. Please note, spaces are limited. If you are interested in coming along, please contact me as soon as possible to avoid disappointment. *What’s not included: airfare, 3 lunches, alcohol, shopping money. There are a three accommodation options available at the luxury eco resort where we will stay. All the accommodation options have double beds and have been priced based on 2 people sharing. If you would like to share between 3 or 4 people, please email me for pricing. Please note accommodation is based on a first come, first serve basis. Please book early to avoid disappointment. Luxury glamping tent’s are pictured above. You will have your own double bed in a huge 2 person glamping tent shared with another guest, you can come with a friend or I can pair you with someone. The tent has a living and dining space, mini fridge, bathroom, 2 showers- 1 indoor and 1 outdoor, plus it’s own terrace, garden and private outdoor HOT TUB! Beautiful all wood tree house. This is a real tree house, in a tree! Sleeping in a tree lodge will guarantee an unforgettable adventure. Morning coffee among treetops is without doubt a magical experience and a perfect way to relax. The coziness of authentic Slovene wood and traditional construction reconnects you with nature, while the interior offers warmth and comfort. 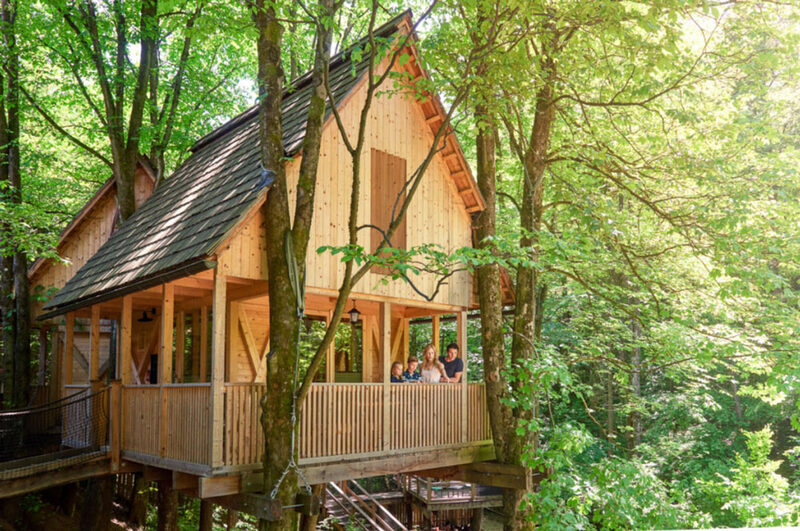 The tree houses are two-storey lodges with a kitchenette, bathroom with shower, two double beds and a balcony with a rocking chair where you can let go of all your worries. You will have a private platform tent right on the river and fall asleep to the sound of the running water each night. 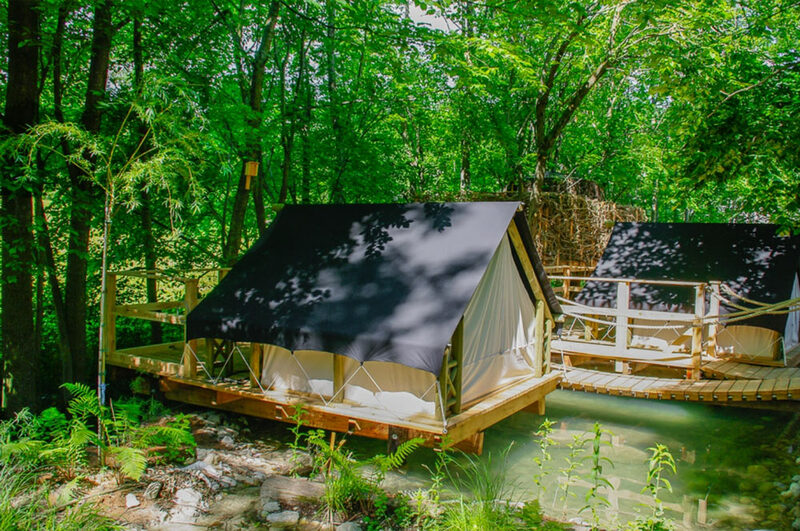 This option has a more rustic, camping feel and bathrooms are shared, but you can’t get any closer to nature staying in these tents. They are lovely. The tent is furnished with a double bed, a mini fridge and a chest to store your luggage. We will be spending time together, you need to want to make new friends and soak up this time with other amazing women/men. That being said, I also appreciate that we all need space for there will be daily free time where you can get some space. It can be overwhelming at first when you show up to a new place, but my hope is that you will embrace the food, culture and people. If you do, you will leave with a smile on your face. Please know there will always be healthy food options available and catering to vegetarian is not a problem! This trip is for squeezing the most out of each day and making the most of your time in Slovenia. If you love to be active, try new things, but still have daily time to chill- this is perfect for you. Nope, this isn’t it. We are going to eat, we are going to have winner beer if we feel like it and we will definitely not be going hungry. There will always be healthy options available and catering for food allergies and preferences isn’t a problem. What if I am coming on my own? Amazing and well done you for having a sense of adventure to come on your own! Don’t worry, you won’t be the only one who has come on their own, I always have lots of solo travellers come along. Plus you know me! If you want to share a room with someone, I can pair you up, or you can go for the single pier tent option. What if I haven´t done yoga before, will I be ok? I think you will enjoy the retreat more if you do some yoga before coming. Start doing it now- go to class, do videos at home between now and the retreat. But at the same time, don’t stress -the yoga will be for all levels and abilities. And, remember, everything is optional, so if yoga isn’t your thing and you’d rather sleep in- it’s up to you! Nope, it’s totally up to you! You do whatever will make your experience the best for you. Is this a detox or cleanse retreat? No, it isn’t. You can eat and drink as much as you like. You will have a couple meals that aren’t included, where you are free to eat wherever you like and can try the great culinary delights around, so it will be up to you what you want to eat.